Keep all your favorite chocolates and hard candies within reach with this beautiful vintage candy dish made by Matashi! Whether you're hosting parties in your home, want to give prospective guests a sweet treat, or just want to satisfy your sweet tooth on demand, you need a great candy dish to keep your snacks close by. That's why we created this elegant Matashi Glass Candy Dish designed with the stylish elegance, function and durability you need to enjoy chocolates, rock candy, mints and all your favorites. Small and compact enough to place on a desk, kitchen counter, or even by the front door during Halloween, get this candy bowl today and always have delicious treats within reach. 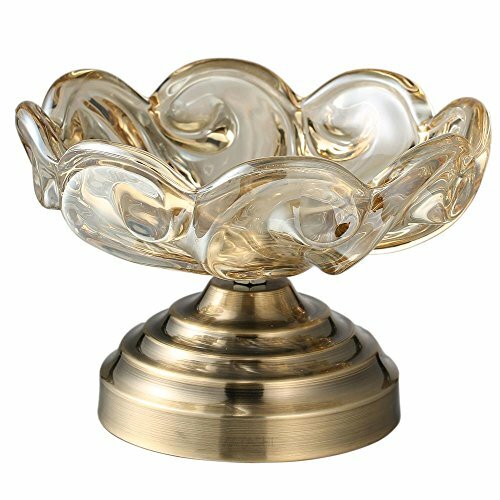 Product Details: Vintage Candy Dish Elegant Craftsmanship High-Premium Quality Glass Electroplated Aluminum Base Dimensions: 8" x 8" x 5" Satisfaction Guaranteed Get your own candy dish from Matashi today by clicking 'Add to Cart' above now and keep all your favorite snacks close at hand. 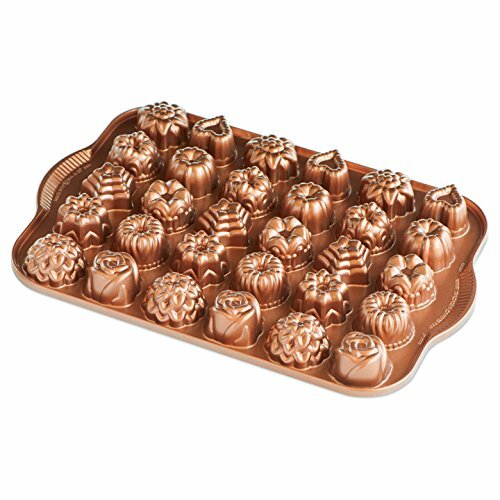 Keep all your favorite chocolates and hard candies within reach with this beautiful vintage candy dish made by Matashi! Whether you're hosting parties in your home, want to give prospective guests a sweet treat, or just want to satisfy your sweet tooth on demand, you need a great candy dish to keep your snacks close by. That's why we created this elegant Matashi Glass Candy Dish designed with the stylish elegance, function and durability you need to enjoy chocolates, rock candy, mints and all your favorites. Small and compact enough to place on a desk, kitchen counter, or even by the front door during Halloween, get this candy bowl today and always have delicious treats within reach. 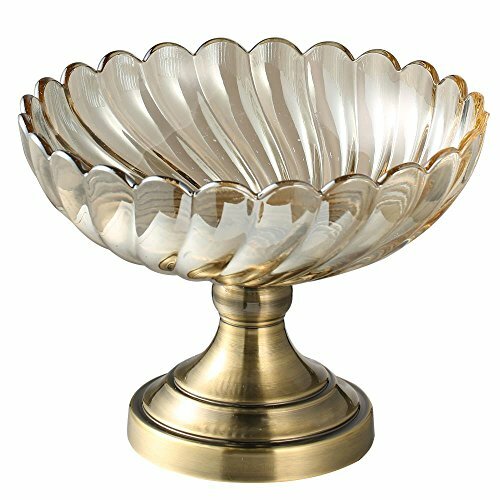 Product Details: Vintage Candy Dish Elegant Craftsmanship High-Premium Quality Glass Electroplated Aluminum Base Dimensions: 10" x 10" x 7" Satisfaction Guaranteed Get your own candy dish from Matashi today by clicking 'Add to Cart' above now and keep all your favorite snacks close at hand. 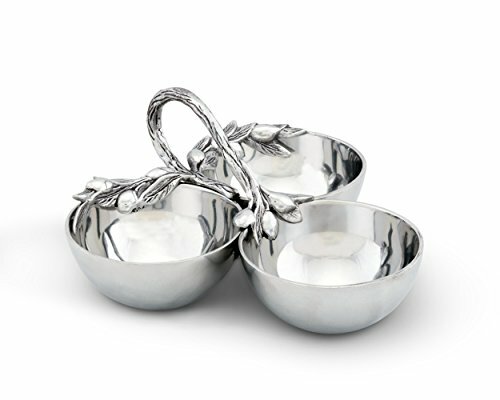 Create a sun soaked Mediterranean feeling anywhere you serve from Arthur Court's 3 Bowl Olive Condiment Server. 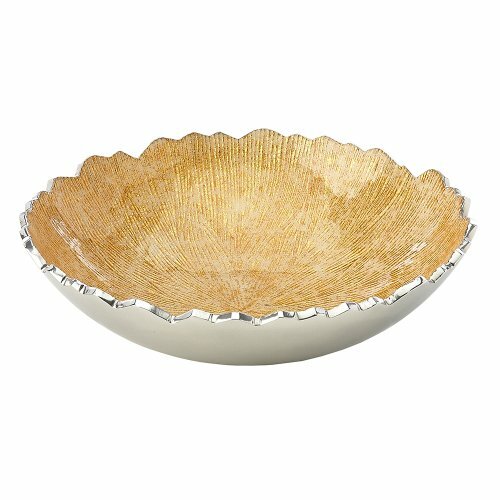 Three highly polished metal, Arthur Court Signature Sand-Cast Aluminum bowls join together, attached to a rustic looking olive branch, heavy with ripe fruit. Fill with an assortment of olives, nuts and candies or spreads and tapenades, place on a table and feel the warmth of Tuscany enter the room. 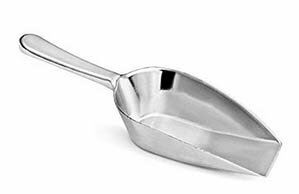 Two ounce flat bottom aluminum candy scoop. 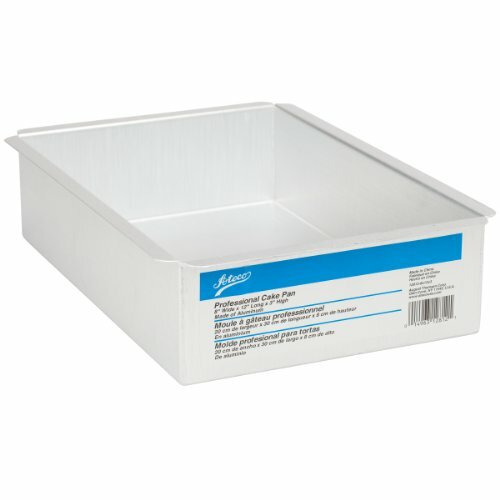 Small metal aluminum candy scooper. When you can't make up your mind..... Small or Large? This scoop comes in at the 2 ounce mark, making it not too small and not too big. 2 ounces = 1/4 cup. Aluminum shinny finish flat bottom, square tip. Only need one? No Minimum Order. We use recycled packing materials, your package could contain shredding. Notes: Hand wash only. Do not use soap with bleach or harsh additives, will turn scoop black. This platter is an exquisite combination of style and elegance. Mix and match the various styles and colors of the Rivington collection for a whimsical approach to classical settings. Versatility, beauty, affordability, all wrapped up into one. 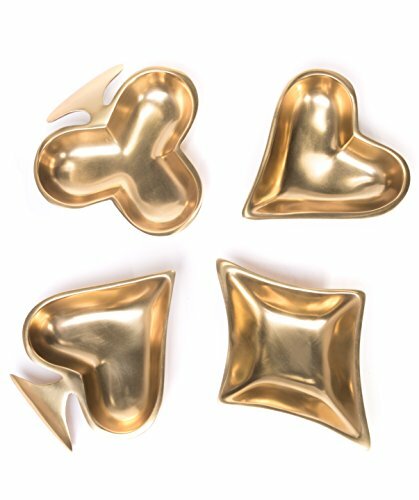 Wendell August's small oval dishes are what you make of them; candy dish, a place to leave your keys at the end of the day, something as elegant as the jewelry to hold it while you bathe or work in the kitchen or yard. Winter song is a new design that will surely become a prized die in Wendell August's Die Vault and joining the ranks of their timeless Autumn, Dogwood and Tracery Designs. Winter song overlapping snowflakes, intricately engraved and this has a special significance. 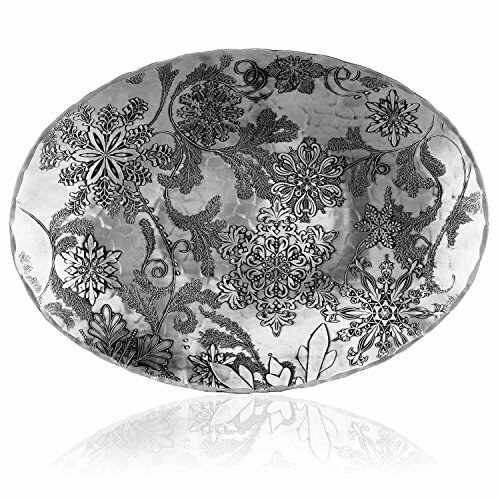 Just like each hand hammered piece from Wendell August, no two snowflakes are alike. Each piece from this collection is absolutely stunning and will become a prized centerpiece in your winter decor. 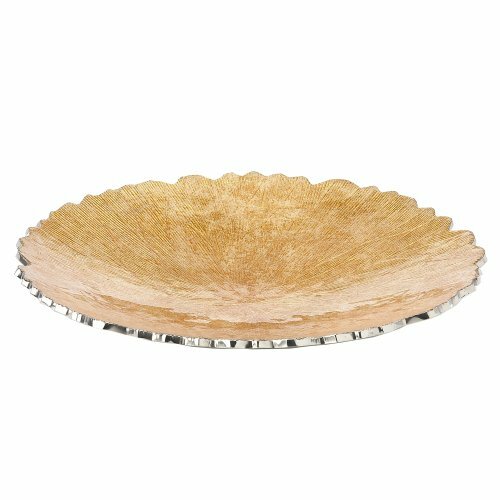 This bowl is an exquisite combination of style and elegance. Mix and match the various styles and colors of the Rivington collection for a whimsical approach to classical settings. Copyright © Wholesalion.com 2019 - The Best Prices On Aluminum Candy Dish Online.